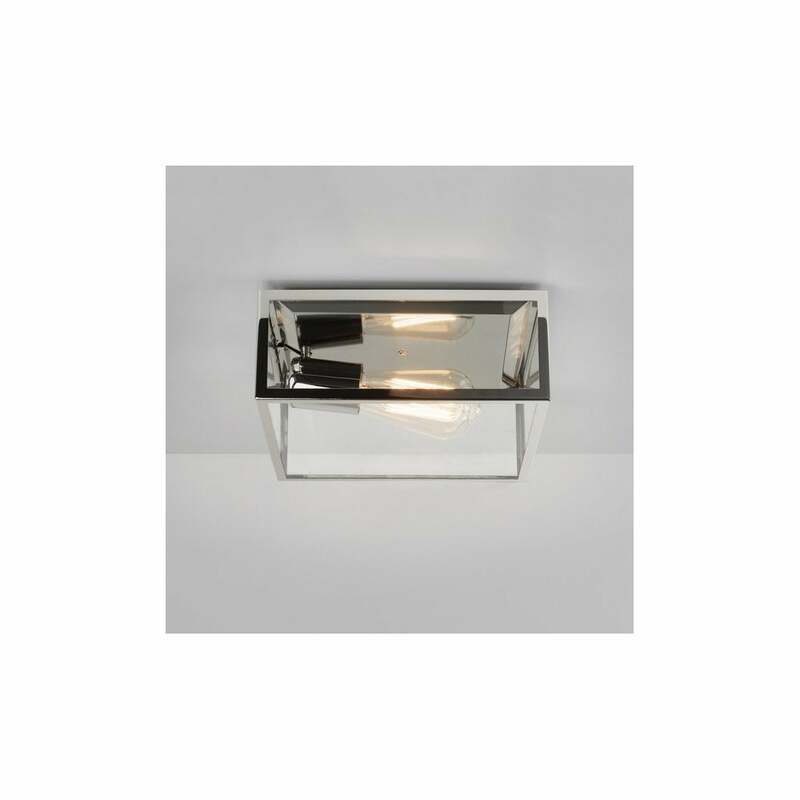 Astro Lighting Bronte single light exterior porch ceiling fitting features a rectangular box shaped frame in polished nickel finish with clear glass panels. The product code for this Astro Lighting ceiling fitting is 7866. This elegant and simplistic design is a perfect choice for modern outdoor porches and provides bright illumination. IP23 rated makes this suitable for outdoor porch areas. All of Astro's exterior products are covered by a 3 year guarantee; however this does not apply to any that are installed within 5 miles of the coast or in a high salt environment. For these situations, browse our Coastal Collection. Also available in black finish and a wide range of porch ceiling fittings can be viewed on our website.